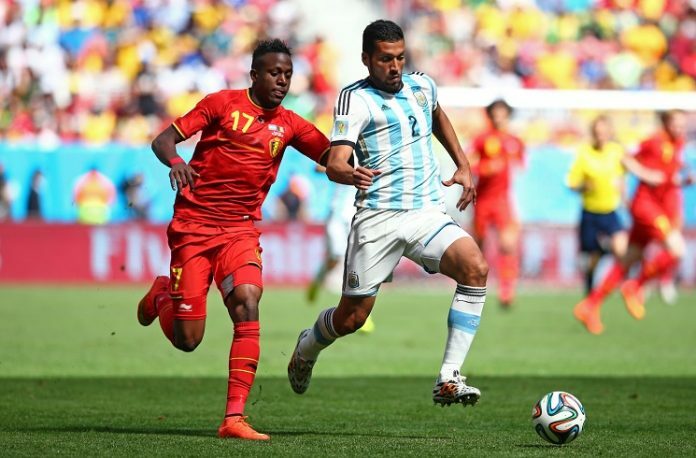 Ezequiel Garay playing for Argentina vs. Belgium at the 2014 FIFA World Cup. 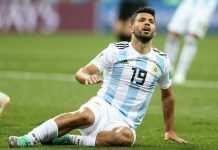 We are just 23 days until the start of the FIFA World Cup and in 23rd place we have Ezequiel GARAY playing in his 23rd match for Argentina in their 1-0 win against Belgium at the 2014 FIFA World Cup. 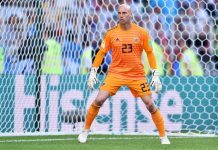 It was Argentina against one of the dark horses of the tournament Belgium in the quarter finals, a round in which Argentina had not made it passed since the 1990 FIFA World Cup. 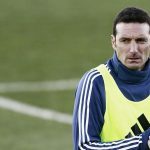 For Ezequiel GARAY, he had a new partner next to him as Federico FERNANDEZ was dropped from the starting eleven in favor of veteran Martin DEMICHELIS. 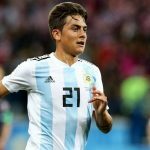 The two, alongside Pablo ZABALTA as a right back and Jose Maria BASANTA slotting in for Marcos ROJO, kept Belgium at bay and gave the team a clean sheet. The hero of the day was Gonzalo HIGUAIN who scored his first (and only) goal of the tournament and his fifth goal overall at a World Cup (with the previous four coming in 2010 in South Africa). 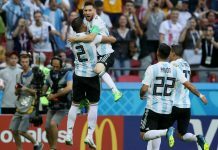 Gonzalo HIGUAIN scored early on in the match and one goal was enough to separate the two teams as Argentina had reached their first semi-final in 24 years.